Jute Products: 7 Best Advantages of Using Jute Made Goods and Articles! Jute is a 100 percent biodegradable and eco-friendly material and do not pollute our environment like plastic products and poly bags, and we should encourage the usage of jute and jute products so that we can also contribute to our environment to make our planet clean and healthy place to live in. 2. Jute is a fiber type material which can be used to make various types of different products and goods like jute bags, jute carpets, jute rugs, jute shopping bags, jute stationery, jute furniture, jute crafts, this list is never ending. So many usable products can be made from jute. 3. 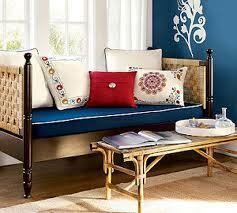 Jute is Cheaper as compared to other stuff and material, thus we can also save money up to some extent. 4. It would open doors for those persons who are willing to start their own business but are not able to do so just because of money. Business of selling jute products can be started by a very low capital, thus it will further solve the unemployment problem upto a more extent in the urban areas of the world. As more and more people are becoming aware about our environment concerns and the benefits of jute, thus the demand for these products will only grow. 5. 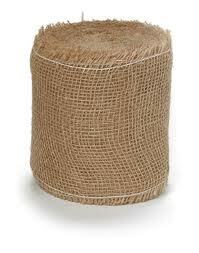 Jute is biodegradable material thus is very beneficial for our environment. 6. As jute is grown by the farmers in rural areas thus if jute and its various products are much sought and sold in the market, then it would be a very big support for this rural people. This way most of the rural people would get employment and entrepreneurs would start setting up jute industries in those backward areas which would result in overall development of those areas. This would solve the migration of people from rural areas to urban areas, thus reducing the burden over the infrastructure of the urban areas. 7. The over all life standard of such people of backward areas will improve and they would be able to spend some money for themselves. This would help in bringing inclusive growth for those developing countries. 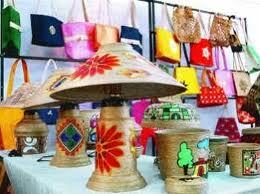 The jute products and jute goods will also help in reducing pollution from our environment and our planet. The overall production of poly ethylene or PVC would be reduced, which is used in making carry bags which are highly pollution contributor. As the poly bags have become our eye sore as they are the major source of the littering and can be found any where in the world. It is more likely that many of the poly bags & plastic manufacturers may switch to become jute products manufacturers. Every thing about life,health and home and anything else which is worth discussing and important. 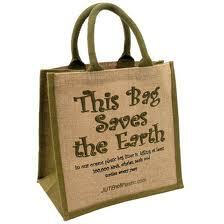 All over the world we must use the Jute products. Gvmnt of India must pass resolution to improve the jute products in everywhere an alternative of plastics & PVC. Yes Prithvirajan we must use Jute and Jute made goods to protect our earth from pollution and natural calamities. And thanks for reading my post and leaving a comment. My pleasure thanks.